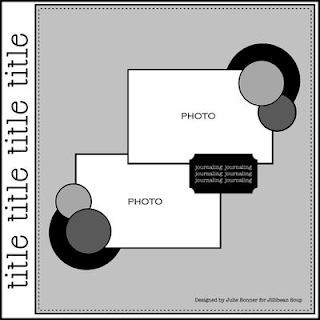 I saw this cute little mini album on Julie Bonner's blog and I thought it's the cutest thing ever!!! Since we are having a new little one joining the family early next year, I decided to make one! 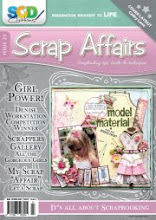 Julie really is one of my biggest inspirations in the scrapbooking industry! And here is the little mini in the keepsake box with the lid that I made to keep it safe! All thanks to Julie . . . she really is a master scrapbooker!! SEM Praise Post on Friday's! 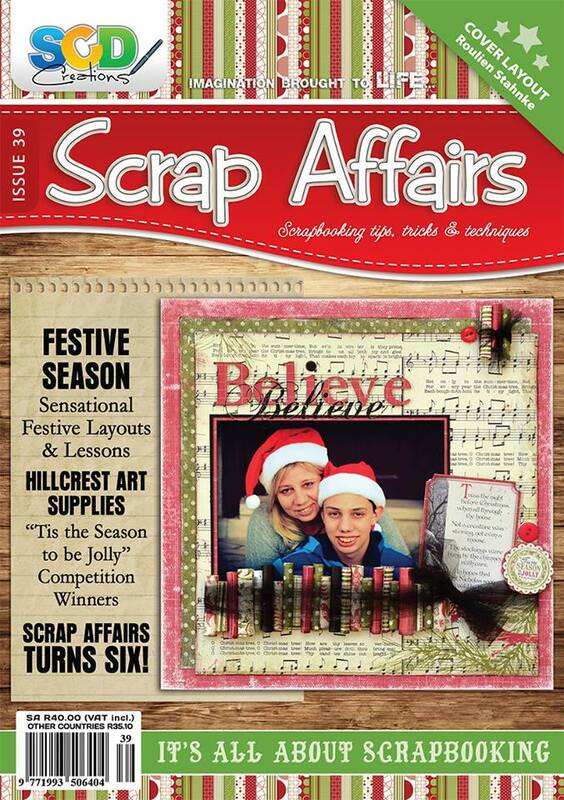 This week it's my turn to do the Praise Post over @ Scrapping Everyday Miracles! I love to do these post because it really make me look at my life and what is important to me! This week I just knew what I wanted to give Praise about!! I would love to share my post here as well . . . Here goes . . .
"Good morning . . . Roulien here this morning to share some praise with you! I want to continue on the same theme as our Challenge #6 which is all about friends/friendships that go the distance! Very recently I've received some news that really rocked me to my core! I was left feeling very angry, hurt and so terribly dissapointed! But in this time God showed me what wonderful friends he has blessed me with! Yes, true friends are a blessing! True friends are God's love in action! One incident between myself & my friends will forever be with me! The 3 of us were standing in Mari's kitchen busy making tea, I just told Mari what has happend in my life and how it made me feel! I was trying really hard to be composed, but Mari started crying which set me off and then Hydie joint us in the waterworks! Here were are . . . standing in the kitchen . . . crying and comforting each other all at once! Even though we were crying I could FEEL the love from these woman! No judgement . . . just love and acceptance! I knew that the sorrow they felt on my behalf was genuine and real!! God used this picture of the three of us to show me His love . . . showing me that even in this painful time in my life He is there for me through this wonderful ladies!! Friendship is a blessing . . . Friendship is everlasting . . . Friendship is courage . . .
And I thank God for having such friends in my life! Here is a photo of the three of us from the page of the little mini album I've made to celebrate the wonderful friendships in my life. I feel so blessed and grateful to have this ladies in my life! 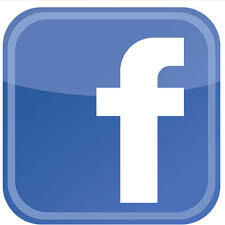 We would love for you to celebrate your friends/friendship with us here! Tell us about the friends in you life that means the world to you! Here is my take on this weeks Let's Scrap sketch! At first I wasn't sure what I wanted to do with this sketch. I had some ideas but nothing that look good on paper. I was staring at this paper that I've had in my stash for a while now and then I remembered this pics of my DH . . . I really think they look good together!!! 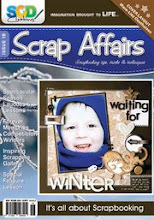 @ Scrapping Everyday Miracles we are celebrating Friendships!! That's right!! 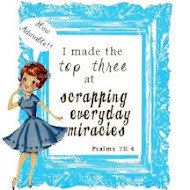 Challenge #6 is starting today at Scrapping Everyday Miracles! I LOVE this challenge because I have so many wonderful & great friends who shares my life! Not living in your home country means that you rely more on your friends than on family! Here your friends . . . the really good one's . . . really becomes your family!! And I'm blessed to have a few of them in my live! Then I have GREAT friends back home. Everytime we go to South Africa and I visit them, it's as if nothing has changed . . . and we haven't spent a year not seeing one another. For me, that's a true test of friendship! For this challenge we once again has a great sponsor! We really are blessed with sponsors who wants to participate! 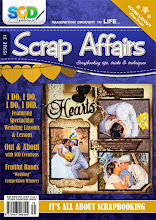 Tattered Inspirations is our generous sponsor for challenge#6, and let me just say . . . their stuff is GORGEOUS!!!! 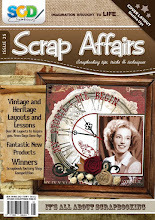 I you are a fan of all things vintage then you are going to LOVE these kits!! I ordered myself a bunch of kits, but unfortunately I haven't received them in time to use in the challenge! 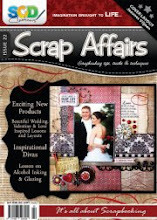 Here is a link to the Tattered Inspirations SHOP and the BLOG with lots of inspirtation! To honor all the wonderful friends in my life I knew a layout is not going to work for this challenge! I really wanted to make this a keepsake! I decided on a mini album with a box to keep it safe! I used Bo Bunny's Gabrielle collection for this project! Let me just say . . . I had so much FUN making this! Really thinking about how each of these ladies came into my life and thinking about what it is that makes us "click"! Here is the front page of the mini album! And the pages . . .
And this is what the top of the little keepsake box looks like! 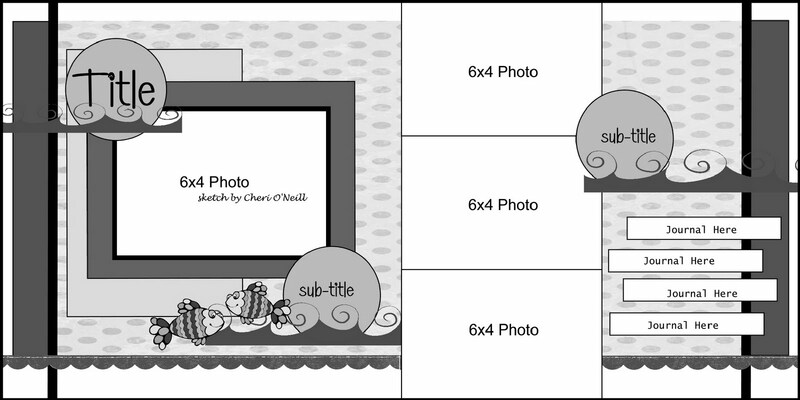 But sure to stop by at the SEM blog to see the gorgeous layouts the DT made and our sponsor! Remember there are some great prizes to be won!! 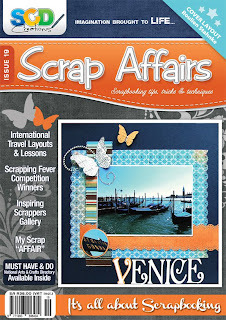 Gorgeous photos + Gorgeous paper = Gorgeous layout!!! I used the really gorgeous Uncommon collection paper from Authentique Paper to scrap these gorgeous photos of Monique which my friend and very talented photographer, Clasi Steyn, took over the course of 4 years. Many, and I truly mean many, photos I scrap with has been taken by Clasi! I used an older Let's Scrap sketch for this layout . . . I think it's a PERFECT match!! And some of the details close up! The photo's of Monique was taken in 2008 (far right), 2009 (in the middle) and 2011 (left side). In 2010 we were living in Korea and Clasi lives right here in Saudi! It would have been nice to have a 2010 picture of her as well! I'M OVER THE MOON EXCITED!!!!! I really, really am!!! 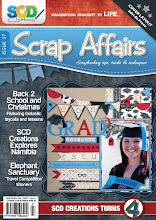 One of my friends just skyped me from South Africa to inform me that a layout of mine is on the front cover of Scrap Affairs magazine!!! I was jumping-around-my-living-room-like-a-crazy-person-excited to hear the news!!! And here is a the full double page layout which also appears in the magazine. 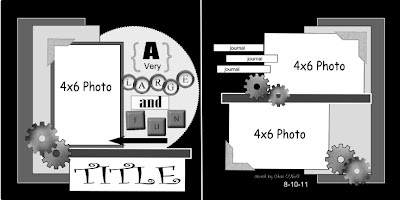 I used a Let's Scrap sketch to create this layout and I share the spotlight with Cheri who's the sketch designer for Let's Scrap!!! I just had to phone my sister in South Africa to go and buy me a copy (or 2 or 3)of the magazine!! I really feel so honored and blessed that they have chosen my layout for the cover!! It makes me giggle everytime I see it!!! 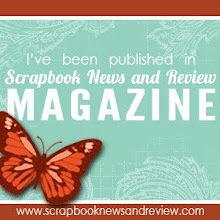 I thought it would be a fun idea to share some of my current favorite scrapbooking companies & paper collections! I don't think I've done a "faves post" before and I have so many things I love!! 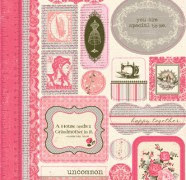 My biggest "love" in scrapbooking is PAPER!!! I love, love, love paper!! 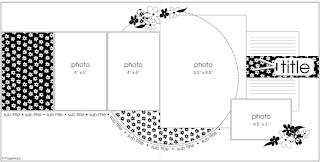 I do all of my scrapbooking shopping online and my orders always mainly consist of paper! I love the feel and smell of the paper . . . 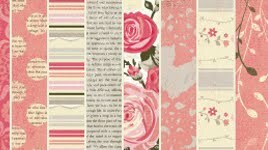 I drool over each sheet and possiblities spring to mind about what projects I can create with them! Right now I'm in love with Authentique Paper! The quality of their paper are truly fabulous . . . sturdy heavy cardstock . 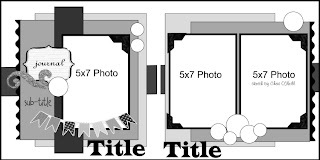 . . and the die cuts are made of the same cardstock and are doublesided . . . simply fabulous!!! 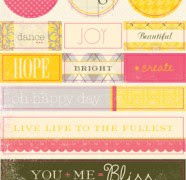 I recently received the Blissful and Uncommon collection and they are STUNNING!! Another paper company that has my vote is Echo Park! These guys really are rocking my world with some wonderful patterns on their paper! 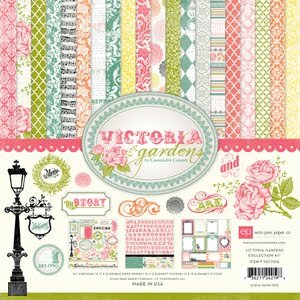 I just received the utterly GORGEOUS Victoria Garden . . . and right now I just want to look at those beautiful paper! 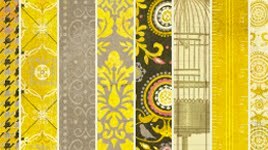 This collection pack is full of stunning patterns and yummy colours . . . you can scrap anything on this paper! Just beautiful . . . The last one to share with you that makes my list is Jillibean Soup. I ordered the Dutch Mustart collection and I LOVE it! Such a wonderful mix of yellows, greens, orange and browns! Take a look at all of the fun Jillibean Soup products HERE! The corrugated hearts, buttons and butterflies are so cute . . . I want them all! 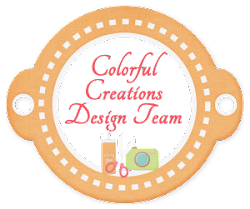 Next time I'll share my fave scrapbooking tools with you! Today has just been such a "Happy" day for me!! 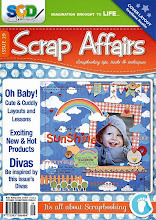 Scrappy good news came my way . . . and I couldn't feel more blessed!! 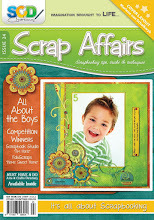 The first "happy" news came from Lynn, who is one of the new DT members at Let's Scrap! Lynn picked my "I love to watch you Play!" layout as Inspiration of the Week. 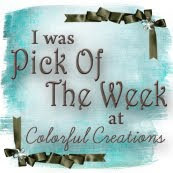 This is the first time my layout has been chosen as IOTW . . . and it really makes me feel great!! 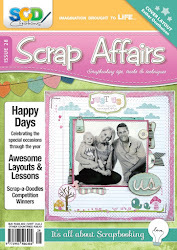 The second "happy news" came from Marisa at Soul Scrappers. Marisa picked my "To Dream" layout as the winner for her quote challenge! 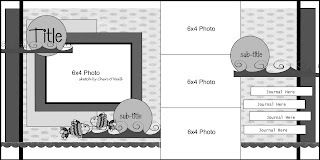 You can check out my layout in the Soul Scrapper gallery HERE!!! This really put a spring in my step for the rest of the day!! Hope you have some "happy" news today!!! As many of you know, one of my FAVE scrapbookers is Julie Bonner! I love Julie's style of scrapbooking. She doesn't do lots of embellishments, but use mainly paper and die cuts for her layouts. I became a fan of Julie when she had the 52 Weeks 52 Sketches blog . . . so I think it's safe to say that Julie is also to "blame" for my love of sketches. Julie is now on the DT for Jillibean Soup and they are hosting a sketch challenge once a month . . . and who don't want to win some Jillibean products??? 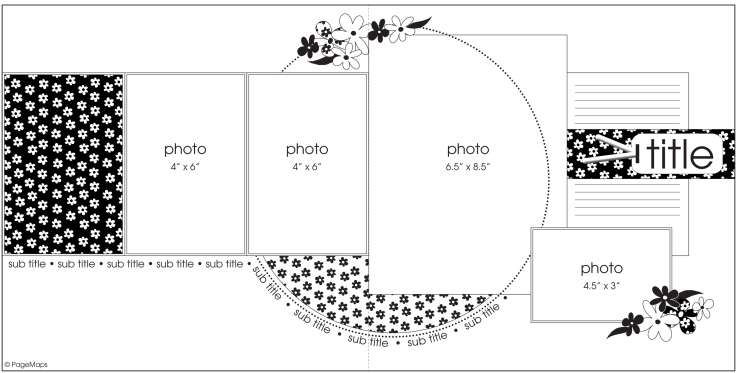 I used mainly Dutch Mustard collection paper and die cuts for this layout. 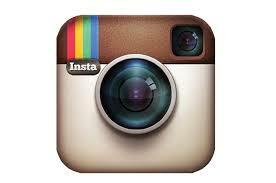 Be sure to check out the Jillibean Soup blog for all the details! Have a happy day, y'all! !